The egg is a wooden egg with pink acrylic paint covering it. The ears are made of felt, and the wings are individual feathers placed and glued into holes drilled in the sides of the egg. The only thing is that I would change the breeding pairs to be Winged Cats x Cehual Boars. No more Golden Geese. They're just too rare. Hope you like the egg! Last edited by jmilana on November 1st, 2018, 6:07:11 pm, edited 2 times in total. That is such a fun egg! Who wouldn't want a flying pig! Good Luck! Flying Pig! It's very interesting idea. We have creatures from mythology all over the world, including America (the Jersey Devil=Noctis Enox). 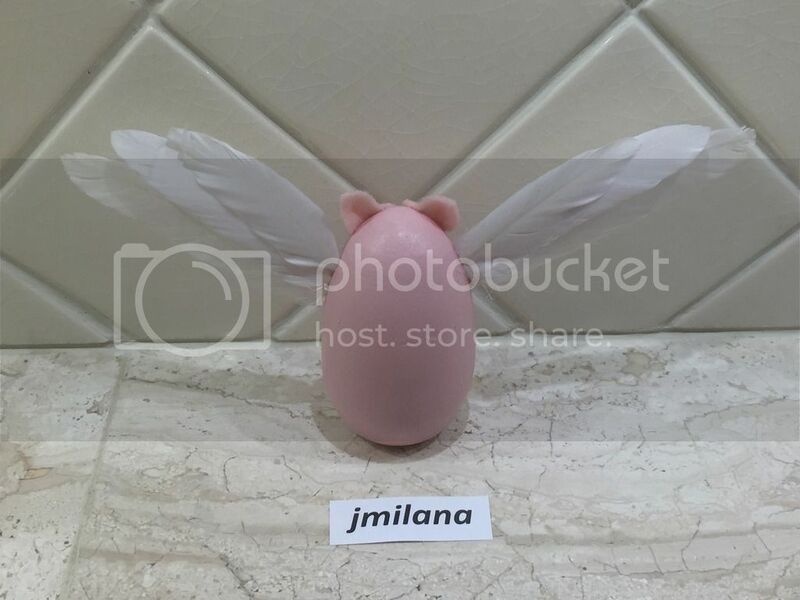 So why don't we have a flying pig yet? I'd love to have a flying pig. Heck, I'd love to have a whole army of flying pigs! Such an awesome egg! Good luck!